Real Time Savers offers affordable and experienced, virtual Transaction Coordinators to real estate agents in Washington State. Our team frees up valuable time for our agents. Time to do what you do best such as meet new clients. Show more properties. Negotiate more contracts. Maybe even treat yourself to that much-needed vacation. Meanwhile, you can rest assured that our team will be watching over the fine details of your transactions; paperwork, timelines, clients, and all. Real Time Savers started as a natural progression to Lindsey Bavaro’s 9 years’ experience as an administrator in a real estate office. 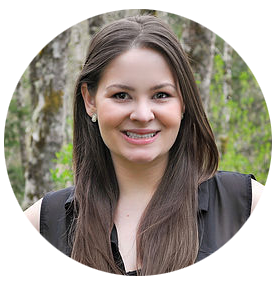 Working under one of Whatcom County’s top agents, she quickly grew a passion for creating checklists and systems that would improve productivity while still providing top-notch services to buyers and sellers. By the end of her time with the team, she was managing the full back-end office support and staff including marketing, lead cultivation, listing/transaction management, and strategy/system development. Today, Lindsey and her transaction team provide a way for all agents to leverage this same level of support. Regardless of your current productivity or personal experience in the industry, Real Time Savers offers agents the ability to focus on money producing activities while we take care of the monotonous, tedious tasks involved in your transactions.